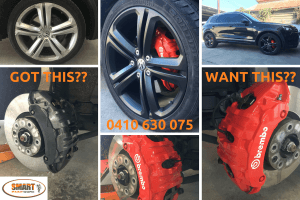 Full resprays of vehicle calipers and alloy wheels can be performed at our workshop in Port Adelaide only. Whether you’re after a colour change from the more common silver to matte black, Lamborghini orange or Ferrari red (the choices are endless!). We’ve got the facilities to get the work done in a matter of hours (not days!) and still with the best possible quality finish. 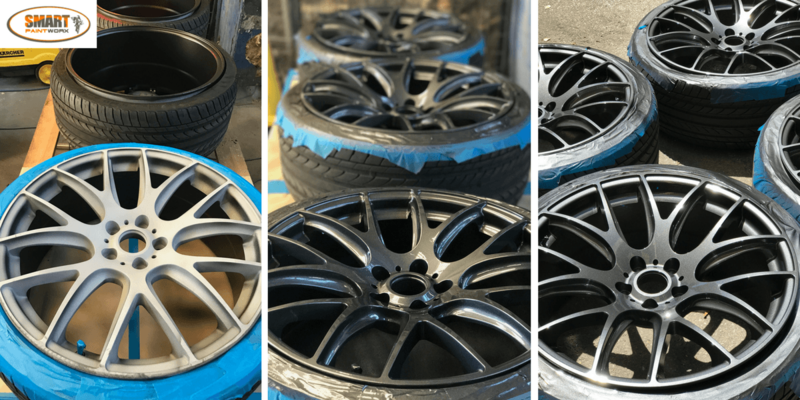 A full respray to colour change a few or all four calipers or alloy wheels can be completed in one day, but bookings are essential. Alloy wheels repaired then calipers resprayed from red to yellow with HSV decals. 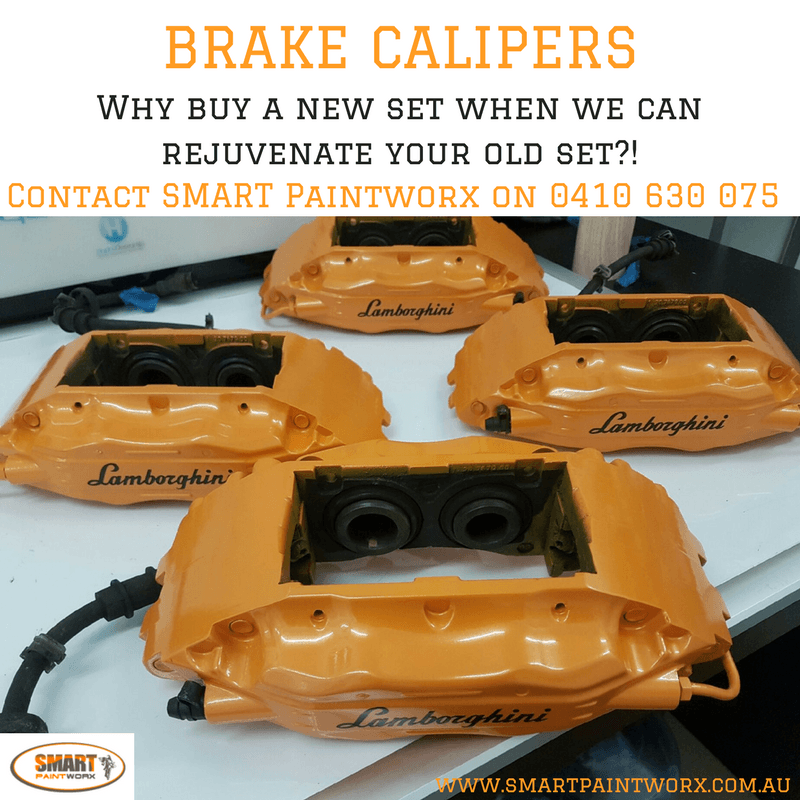 Our technicians can drastically change the appearance of your calipers whether they’re brand new, older but in good condition or just needing some extra love and prep work. This will give them a new lease on life with a dynamic colour change. You pick the colour, we’ll make up the paint on the spot using our computerised system with an extensive automotive colour archive, then it’s only a matter of time before your parts are transformed. Want some decals added as well? Not a problem! Brembo Calipers Resprayed Red with Decals Added. giving us half a day to get the job completed. 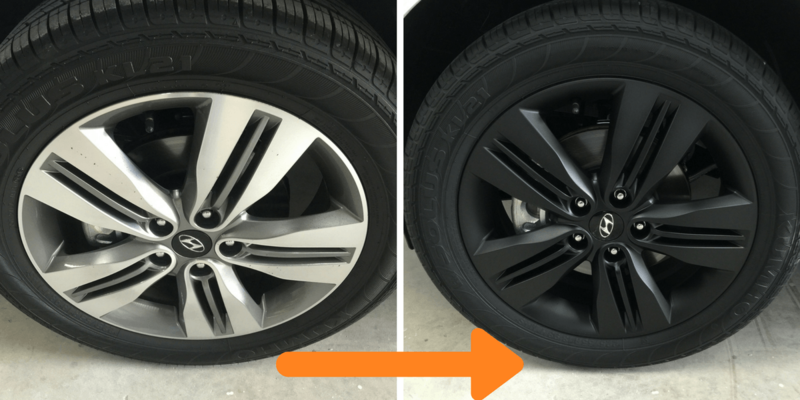 Silver alloys transformed into matte black alloys. Now that spring is here, it’s time to get your car out of the garage and into the sunshine. 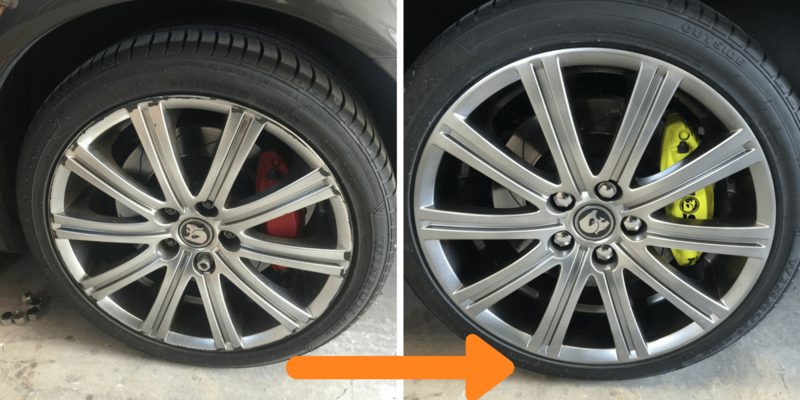 In short, transform your alloys and callipers with a colour change and get people turning their heads! This entry was posted in colour change and tagged alloy resprays, brake calipers, colour change. Bookmark the permalink.